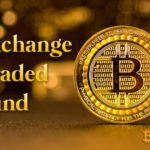 On January 22, the Chicago Board Options Exchange (CBOE) withdrew an application to launch Bitcoin (BTC) exchange-traded funds (ETF). The company’s management hasn’t explained its decision, however, it may be related to the shutdown of the US government. The Securities and Exchange Commission (SEC) has not yet approved any cryptocurrency ETFs. 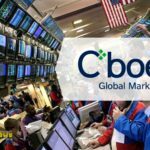 Experts awaited a positive outcome for the CBOE filing, however, their expectations were dashed. The Bitcoin ETF advocates have suggested that the company is likely to apply again after the government resumes. 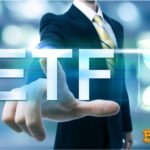 According to Gabor Gurbaks, the VanEck representative, the company cooperates with the regulatory authorities and large market participants to establish the optimal framework for the Bitcoin ETF launch. He states that the company will submit another application after there is a more developed market environment for crypto funds. Apparently, the CBOE wants to enhance its chances of approving the application and therefore plays a winning game. It should be noted that the application withdrawal has not affected the price of Bitcoin. It generally falls in a range from $3,500 - $3,700 for more than a week. Taking into account the movement in the BTC value, the market situation will change in the next two weeks: the price of Bitcoin will either run high or plummet again to $3,000. The BTC price is unlikely to fall lower. © 2018 bit.news | queries 224, for 0.443 sec.